In a Nutshell: Even brick-and-mortar businesses need a digital presence now that so many customers are beginning their searches online. While creating a professional-looking website used to be cost-prohibitive, site-building platforms now simplify and speed up this process. Known for its reliable and scalable hosting plans, DreamHost has added Remixer, which entrepreneurs can use to create a website and import content in just a few minutes. Included with its hosting plans, Remixer brings additional value to DreamHost customers, who turn to the company for a simple, all-in-one solution to creating a website. In the modern digital landscape, business owners of all types are responsible for meeting potential new customers where they are with informative, professional-looking websites. When someone is hungry and interested in expanding their horizons by trying out a new restaurant, more often than not, that customer’s journey is starting online. Instead of counting on third-party sites and reviews to convince people to choose your establishment over another one in the area, wouldn’t creating your own website and having control over your messaging be more helpful? DreamHost’s Jennifer Kay and Leon Blum told us about the hosting company’s site-building tool, Remixer. Most people know DreamHost for its reputation as a leading, open-source-friendly web hosting provider and domain registrar. But the team at DreamHost has recently added a website builder that helps even the least technically knowledgeable business owner establish an online presence in mere minutes. We recently chatted with the team, who told us about Remixer, which comes free with its subscription hosting plans. “Our customers trust us, and when you have a small business, that’s key,” said Leon Blum, Digital Marketing Manager for DreamHost. 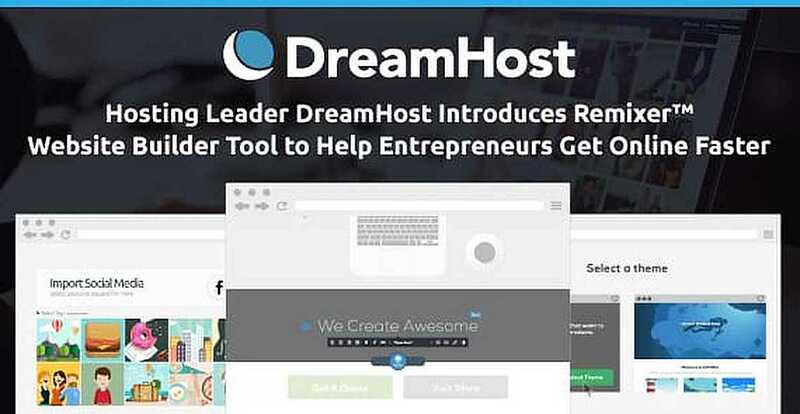 Based on feedback, it became clear to DreamHost that some of its users could make use of an easy-to-use website builder, which has added value for entrepreneurs. Released in February 2017, Remixer uses templates and a simplified editing platform that are ideal for small businesses and individuals who want to establish an online presence without much hassle or need for coding knowledge. Once you sign up, you can choose a theme and immediately start adding content or importing it yourself from an existing site or social media account. DreamHost’s royalty-free image library can help you add a professional look to your site if you don’t have your own high-quality photos. Once you’ve edited everything, you can publish the site and begin establishing your digital presence. When setting up a website, you’ll need a domain name and a host to store your content and support traffic coming to your site. With DreamHost and Remixer, entrepreneurs get everything they need bundled together. 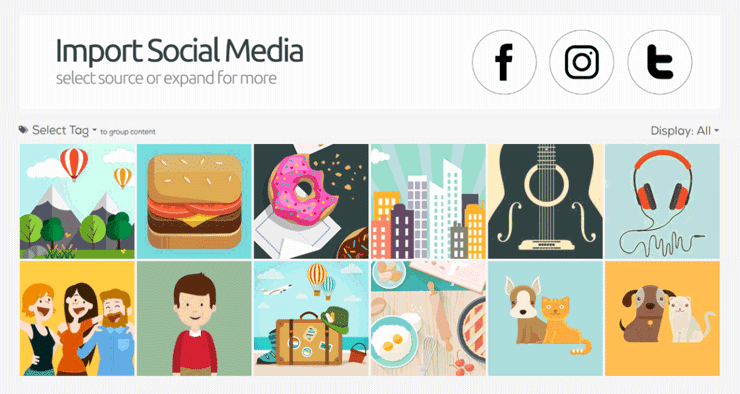 Bringing photos into your site’s content library is simple with integrations for Facebook, Instagram, and Twitter. Jennifer Kay, Product Marketing Manager at DreamHost, told us Remixer users are first-time site owners or people who may have started building a site on a different platform and had issues with finishing setting up the site. With integrations to pull images from popular social media platforms, like Facebook, Instagram, and Twitter, it’s easy to transfer existing content over to your Remixer site. After speaking with the DreamHost team, it’s clear the company takes a lot of pride in keeping customers satisfied with a responsive support team based in the US. From step one, DreamHost provides the resources to easily build a website, including themes. Since many customers prefer to do their own troubleshooting, DreamHost provides several avenues to sorting out any issues that might come up with their website. To assist with this, DreamHost has extensive self-help resources in its Knowledge Base. This area of the site is regularly updated based on questions the support team is frequently hearing. As part of its commitment to keep customers satisfied, DreamHost continues to add value through new features, like Remixer. While Remixer was only recently released, DreamHost anticipates the product will continue to adapt to add more functionality. Customers who want to sell products online can do so through WooCommerce on DreamHost’s WordPress Hosting plan. Remixer and DreamHost’s 100% uptime hosting plans have given entrepreneurs the chance to establish an online identity in a matter of minutes, helping them control their message and better engage with customers.